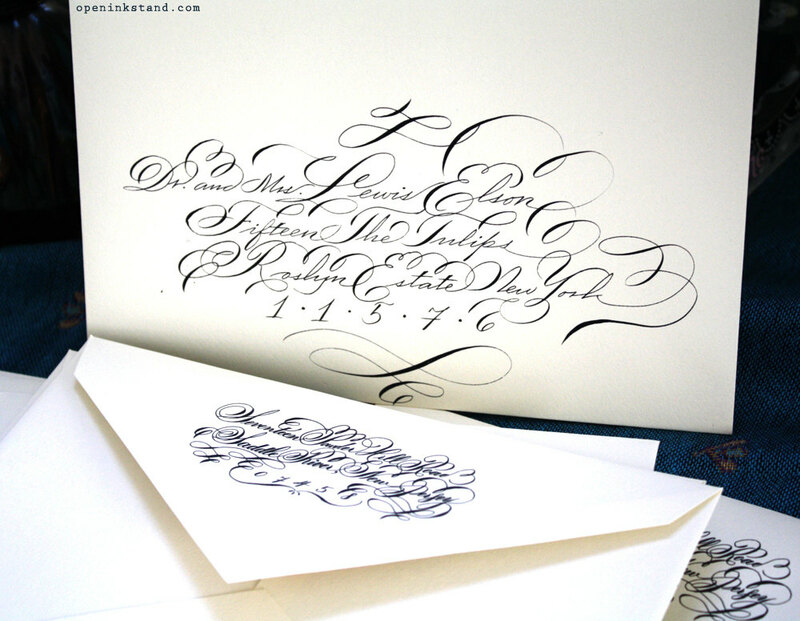 All script styles can be applied for envelope addressing, place cards, invitations, etc. Please email for a customized quote. Inspired by Rococo art, this script is designed for a flashy impression. Each address and name is accompanied with plenty of bouncy flourishes for a luxurious finish. This is my signature and most requested script. Looks great with gold ink and a bird flourish. This is my default style for place cards, but can also be used with envelopes. Fun and vibrant and fully customizable to create a more formal look. The Classic looks great with any color combo for any event. This elegant 19th century inspired script is written with clean, fine lines and perfect ovals. Flourishes are minimal and tasteful. Keep it formal with black ink, or add a dash of fun with a colored ink.